A former police worker has admitted using force databases to access private information about family members. Stephanie Ashby used the Leicestershire Police computer system to search for data on her ex-husband, daughter and daughter's boyfriend. At Leicester Magistrates' Court, the 52-year-old was ordered to carry out 100 hours of unpaid work and pay £170. She was told her actions were "pretty atrocious" for a person in a position of trust. Ashby, of Naseby Close in Wigston, has since resigned from her job. 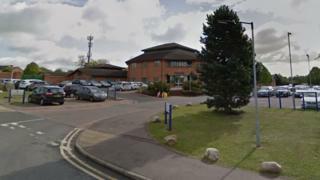 Defence solicitor David Rhodes said she was "embarrassed" and "so very sorry" for her actions, which took place at Hamilton Police Station in Leicester between October 2017 and October 2018. Ashby was given a 12-month community order to carry out 100 hours of unpaid work, and told to pay £85 in court costs and an £85 victim surcharge.